Synopsis: PATTI CAKE$ centres on aspiring rapper Patricia Dombrowski, a.k.a. Killa P a.k.a. 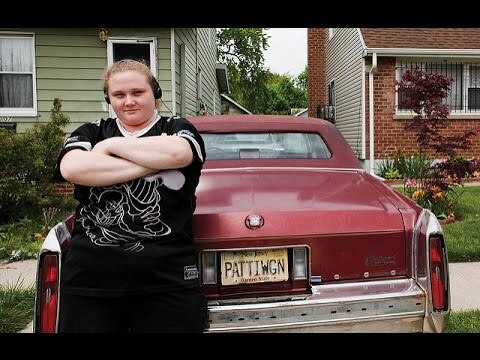 Patti Cake$, who is fighting an unlikely quest for glory isept filmsn her downtrodden New Jersey hometown. The first feature film from acclaimed commercial and music video director Geremy Jasper is set in gritty strip-mall suburbia, chronicling an underdog’s quest for fame and glory with humour, raw energy and unforgettable beats. Newcomer Danielle Macdonald stars as aspiring rapper Patricia Dombrowski, a.k.a. Killa P a.k.a. 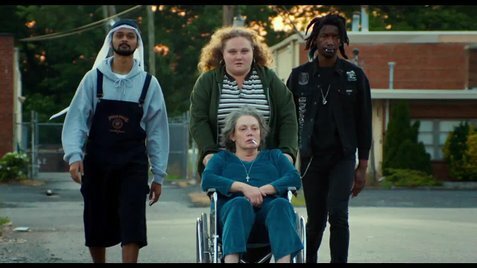 Patti Cake$, in a feel-good film with an almost magical element. The film opens as Patti’s life is falling apart as she tries to reach the big time in the hip hop scene with her original and affecting music. But she has to work in two jobs – in a bar and as a waitress – to provide and care for her supportive, grandmother Nana [Cathy Moriarty (Raging Bull, 1980, Cop Land, 1997)] whose medical costs are escalating. She also has to help her mother Barb (Bridget Everett) whose career as a talented singer was truncated and now has alcohol problems. With best friend Jheri (Siddharth Dhanajay) who works in a pharmacy, they try to record a demo record, enlisting the aid of eccentric and mysterious performance artist Basterd (Mamoudou Athie) to help shape their sound. It all combines to make a sweet, funny and inspiring film – whether you are rap fan or not – that can be enjoyed across all ages, with a memorable earworm, PBNJ.